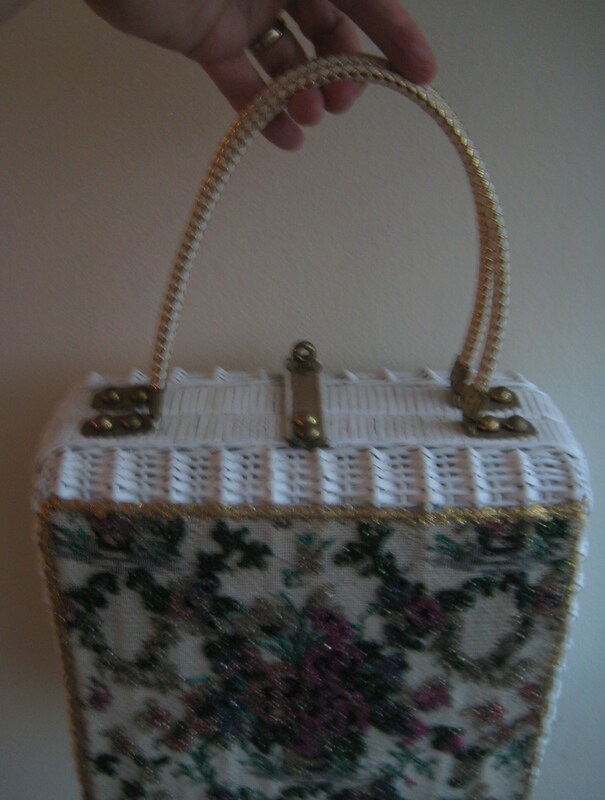 Midas of Miami real wicker handbag. 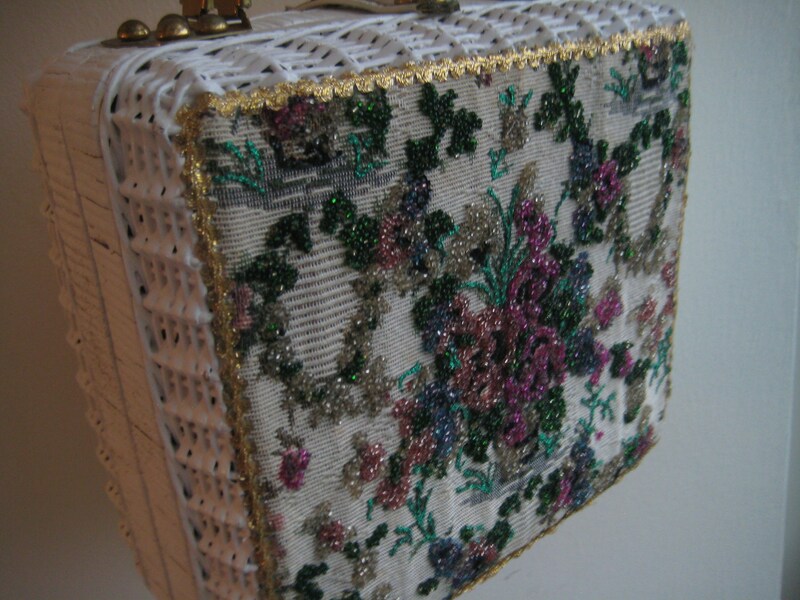 A get-noticed vintage handbag! 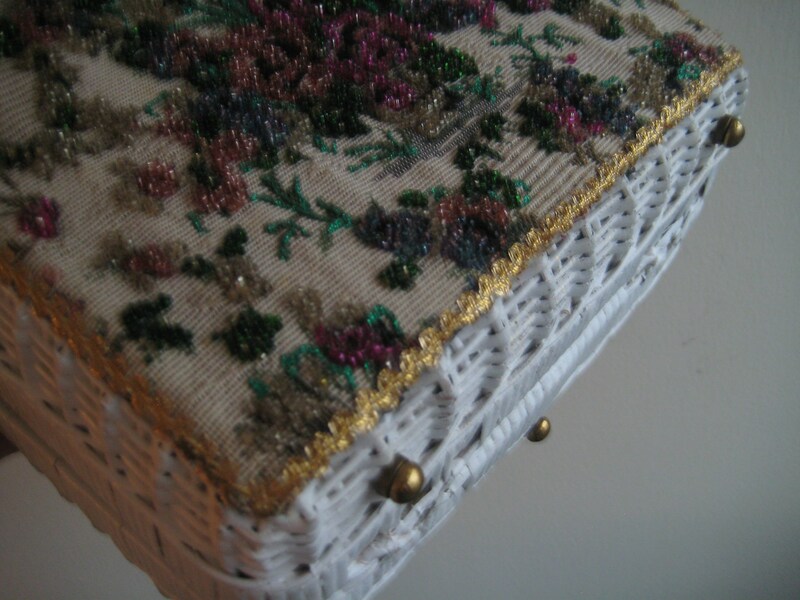 White wicker body with a beautifully embroidered front cover in a purple and green flower basket. 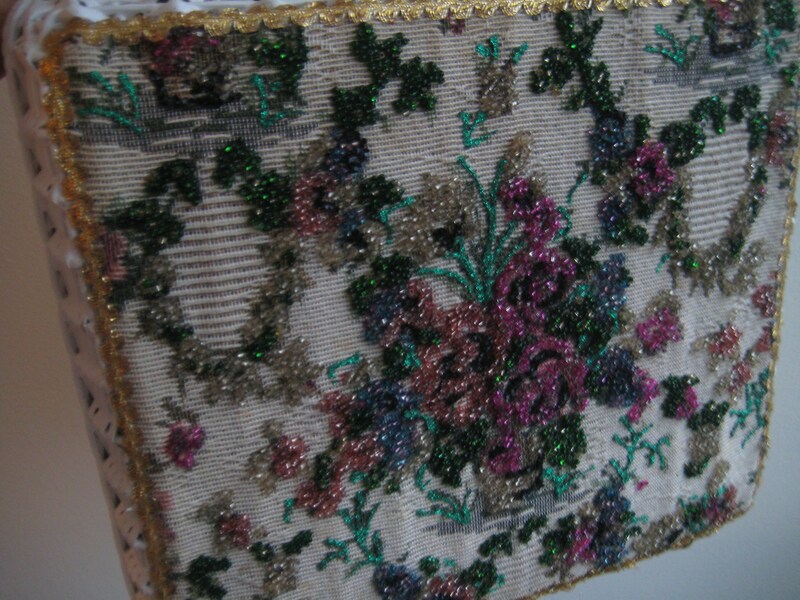 Beads and sparkly thread. 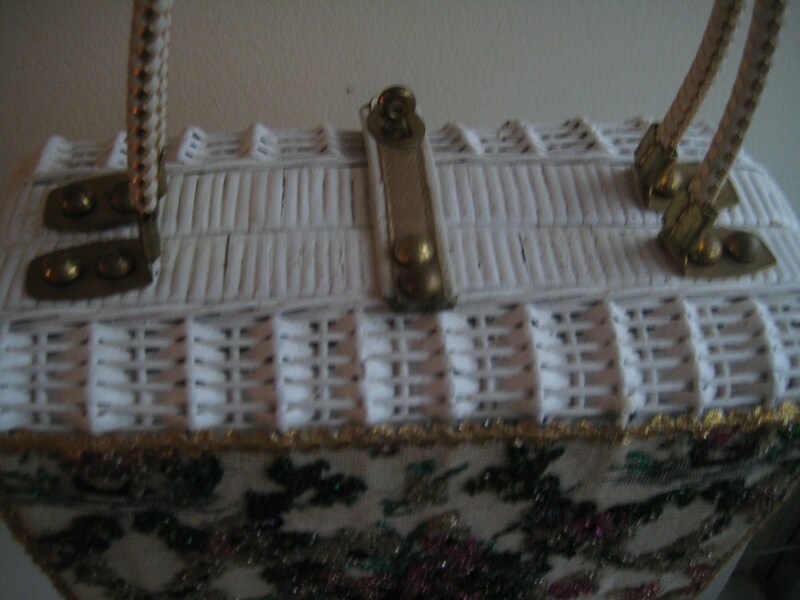 Gold thread trim and double handles of gold and white woven vinyl. Handles have a 6 inch drop. Gold tone metal attachments and key hole lock. 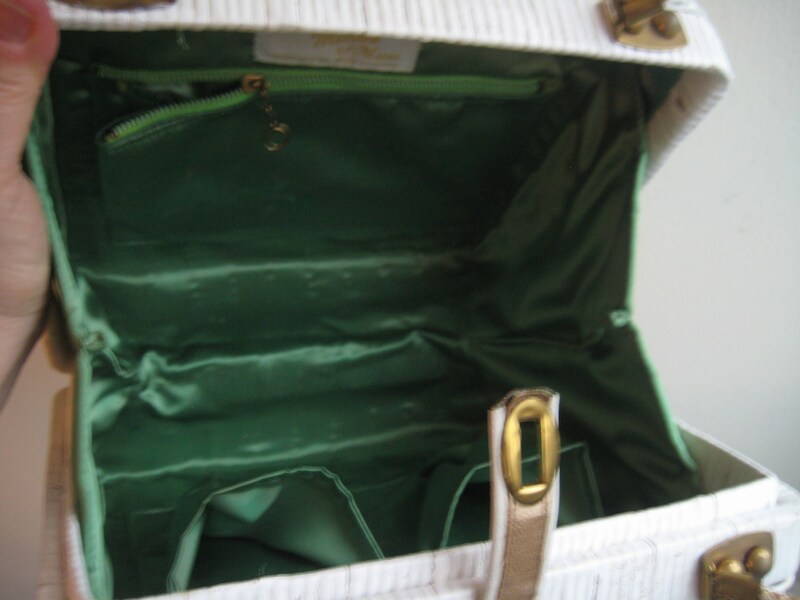 Super roomy interior of sage green polyester satin. Midas of Miami label. Two side pouches and one metal zippered pocket. Super bag! 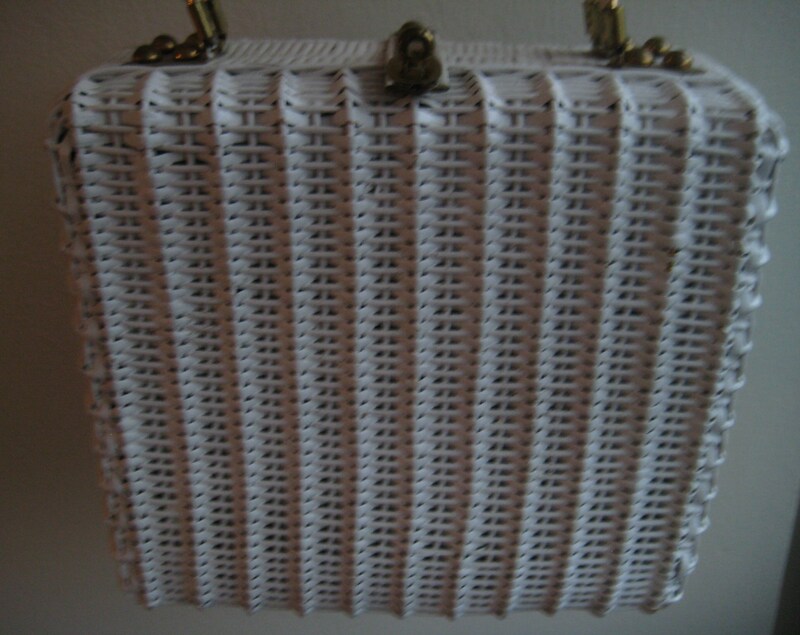 Dimensions: 10 inches long x 8.5 inches tall x 4.5 inches wide.